Join Howard Seidel of Essex Partners and a panel of entrepreneurs for a discussion of the pros and cons of making the shift to owning one’s own business. Panelists will represent different degrees of self-employment opportunities including starting a new business, buying a franchise and building a consulting practice. 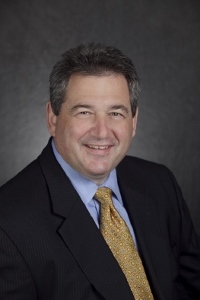 Howard Seidel, Ed.D., J.D., Partner, has over 20 years’ experience as a career and executive coach. Howard provides clients with an in-depth knowledge into the strategic and tactical elements of the transition process, along with a special expertise in advising senior executives exploring career change. Before joining Essex, Howard was Vice President of Keystone Associates, where he consulted on career transitions with senior executives from leading organizations spanning a variety of industries. Prior, Howard served in several consulting roles at Electronic Data Systems (EDS) where he helped build the company's first external practice in Change Management. He also led the company's development of a proprietary performance consulting methodology. Additionally, Howard worked at Andersen Consulting (now Accenture) where he managed the development and delivery of a worldwide training architecture for a new business initiative. Howard holds a Doctorate in Education from Harvard University and a law degree from The George Washington University where he also received his Bachelor of Arts.